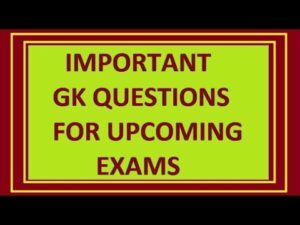 RPSC 1st Grade 2nd Grade Teacher and patwar related Study Material GK Important Notes daily update KVS Kendriya Vidyalaya Sangathan Notes Subject wise PSTET CTET, TGT, PGT, B.Ed HTET Jammu Kashmir TET, UPTET Maharashtra TET Chhattisgarh teacher Vacancies Study Lecturer CG TET Material Subject wise Notes Daily update Philosophy Lecture Notes Handmade written notes Zila Panchayat and Date Wise 29-11-2018 and Teacher Study Material Subject wise Notes Lecture Notes Sanskrit, Hindi, English, SST, Economics, psychology notes, Teaching Method, GK, Math, Urdu, Punjabi, Science subjects Physics, Chemistry, Zoology, Botany, Micro-Biology, Bio-Technology, and Bio-Chemistry. History, Geography, Economics, Political Science, Sociology, Social Science Indian History. Question (1) What name was the mother of Chandragupta Vikramaditya? चंद्रगुप्त विक्रमादित्य की मां का क्या नाम था? Question (2) Chandragupta II is the main source of information about the victory of Vikramaditya? चंद्रगुप्त द्वितीय विक्रमादित्य की विजय की जानकारी का मुख्य स्रोत है? Question (3) Which degree did Chandragupta Vikramaditya take? चंद्रगुप्त विक्रमादित्य ने कौन सी उपाधि धारण की? Question (4) Tell the name of the Chinese traveler in the time of Chandragupta Vikramaditya? चंद्रगुप्त विक्रमादित्य के समय में आने वाले चीनी यात्री का नाम बताइए? Question (5) Which foreign traveler has mentioned the Chandals? किस विदेशी यात्री ने चांडालों का उल्लेख किया है? Question (6) How many years have phahyan been in India? फाह्यान भारत में कितने बरस रहा है? Question (7) Write the names of the works of Kalidas? कालिदास की रचनाओं का नाम लिखिए? Question (8) What is the specialty of Iron pillar of Delhi? महरौली लौह स्तंभ की विशेषता क्या है? Question (9) When did the Hunas first attack India? हूणों ने भारत पर आक्रमण सर्वप्रथम कब किया? Question (10) Harsha Vardhan was the king of which dynasty? हर्षवर्धन किस वंश का राजा था?